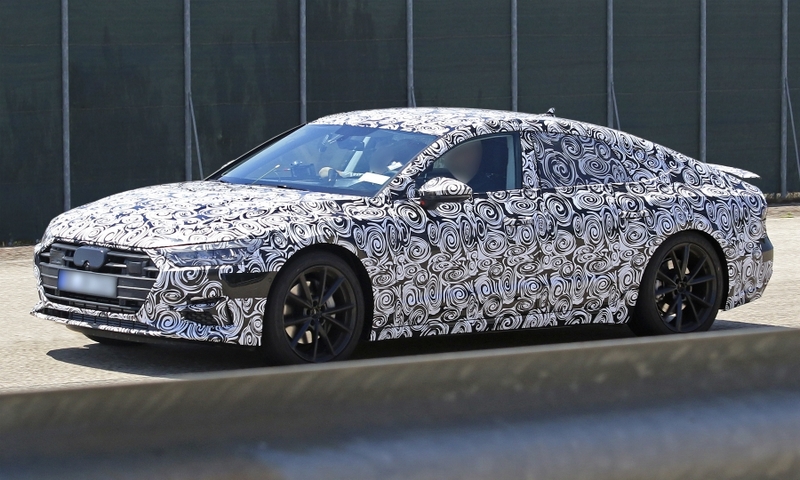 The next Audi A7's character line, which is obscured by camouflage in this photograph, appears to fade into the door panels, marking a major departure from the chiseled edge that runs through the length of the current A7's body. 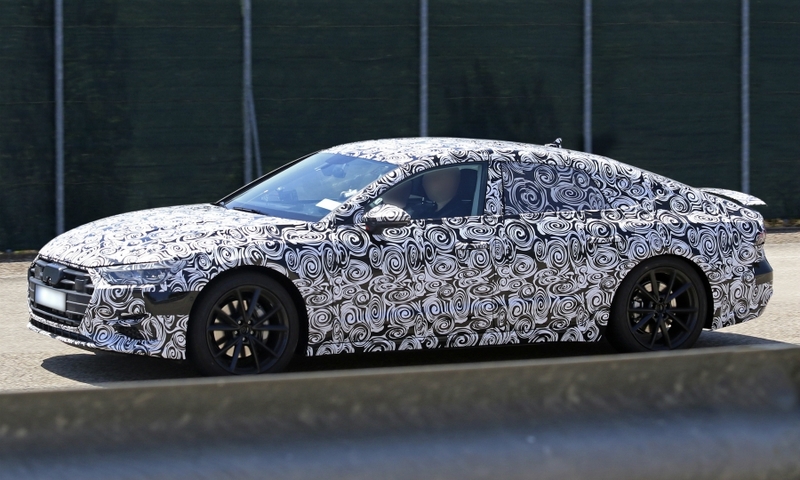 The Audi A7’s fastback silhouette will remain intact when the second-generation sedan is retooled, though much of the detail work on the A6-based sedan will see evolutionary changes. 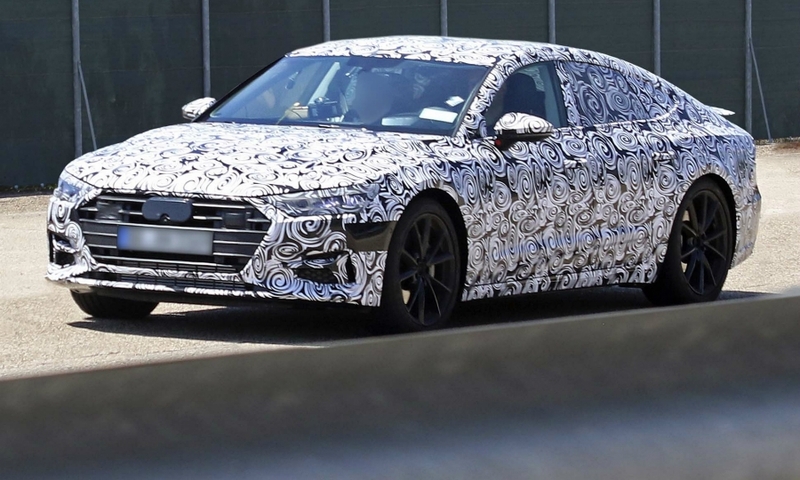 Spy photos of a camouflaged next-generation A7 caught testing show how Audi design chief Marc Lichte is applying the styling ideas first seen on the Prologue series of concept cars. Chief among them are the taut fender bulges atop the A7’s wheel arches, a visible nod to Audi’s Quattro all-wheel-drive system that Lichte has made a priority on Audi sedan styling. 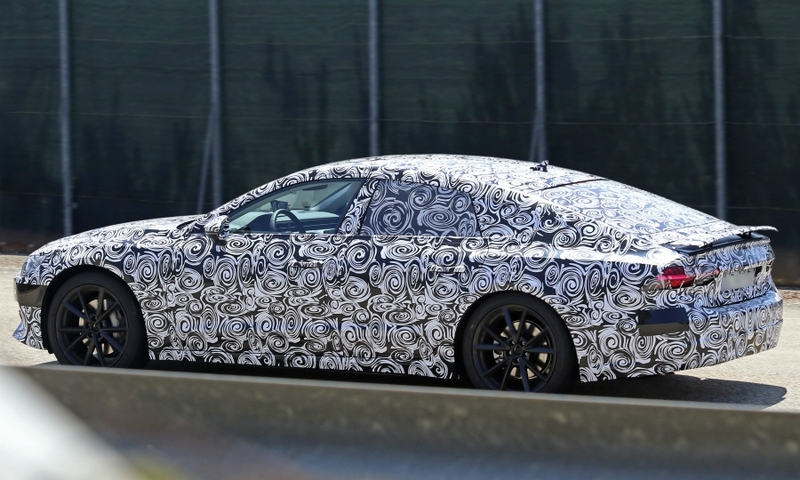 Another is the car’s character line, which while obscured by the camouflage, appears to fade into the door panels, marking a major departure from the chiseled edge that runs through the length of the current A7’s body. Up front are more hard angles in the treatment of Audi’s single-frame grille and headlight housings. One thing that isn’t changing all that much is the car’s overall proportion, even with a narrower, TT-inspired daylight opening. 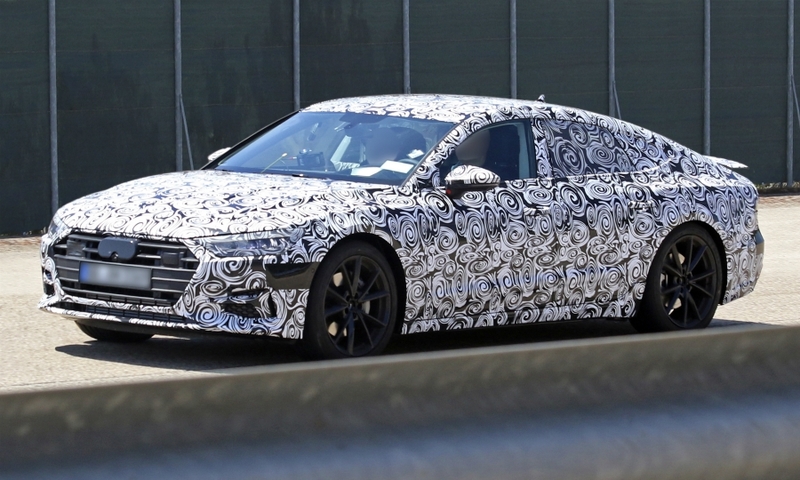 The redesigned A7’s launch should closely follow the arrival of the next-generation A6 sedan. The A6 is expected to arrive in 2018.